Russian cosmonauts inspected a mysterious hole on the exterior of a damaged Soyuz capsule yesterday, a complex spacewalk that took numerous hours to complete. As TASS reports, Russian cosmonauts Oleg Kononenko and Sergei Prokopyev took a close-up look at the exterior of the Russian-built Soyuz MS-09, which is currently docked to the International Space Station. Back on 29 August, a minor air pressure leak was detected inside the ISS, the result of a 2 millimetre “microcrack” on the hull of the Soyuz spacecraft. The incident posed no risk to the astronauts, and the hole was quickly patched. The cause of the hole, however, is still unknown—and the incident has sparked considerable controversy. The spacewalk began at 4:00 pm UK time and was broadcast on NASA public television. 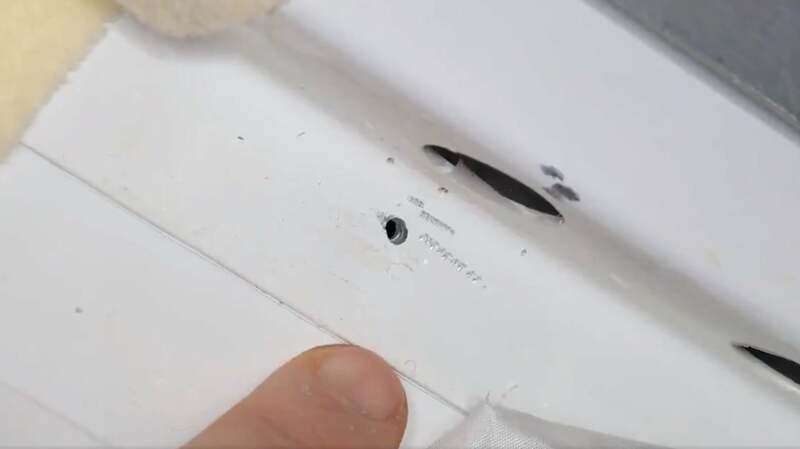 Initially, the hole was thought to have been caused by a micrometeorite, but on closer inspection, it appeared that the hole was caused by “a faltering hand,” said Roscosmos CEO Dmitry Rogozin several days after the incident, adding that it “was done by a human hand—there are traces of a drill sliding along the surface.” The Roscosmos chief said the defect may have occurred on Earth during the manufacturing process, but he didn’t rule out other possibilities, such as an ISS astronaut causing “deliberate spoilage.” Soon after these comments, Russian media began to float the theory that NASA deliberately sabotaged the ISS, as Ars Technica reported. For yesterday’s spacewalk, Kononenko and Prokopyev inspected the external surface of the capsule in the area around the hole. The mission was be “unprecedented by its complexity,” said Rogozin yesterday in a tweet. To inspect the area, the cosmonauts had to temporarily detach some thermal insulation and the meteorite shield protecting the capsule. The plan to “open up the spacecraft’s meteorite shield will be carried out in outer space for the first time in the history of cosmonautics,” reports TASS. After exposing the area, the cosmonauts made a visual inspection of the area and took photographs. They were also tasked with collecting some surface samples around the hole and bringing them back to the ISS for analysis. The Soyuz capsule itself is scheduled for re-entry back to Earth on 20 December.